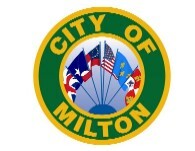 The draft ordinance for the modification of hours for alcohol sales was approved and had its first reading at the Milton City Council meeting on January 10. Only one city councilmember voted nay, Patsy Lunsford. The ordinance will change alcohol sales to a 7 days per week, from 7 a.m. until 2:30 a.m. The ordinance will have its final reading at next month&apos;s council meeting on February 14.